After a bit of an indulgent weekend with company, it was time to return to clean eating. And while that should mean a break from wine, one bottle was staring at me with puppy dog eyes. Who could resist that little guy? 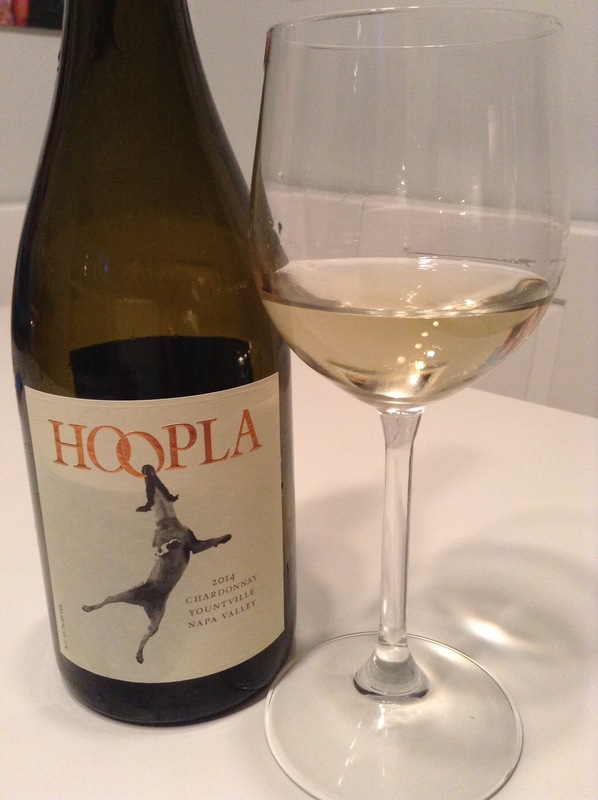 Hoopla Chardonnay says it best on their label and on their site. 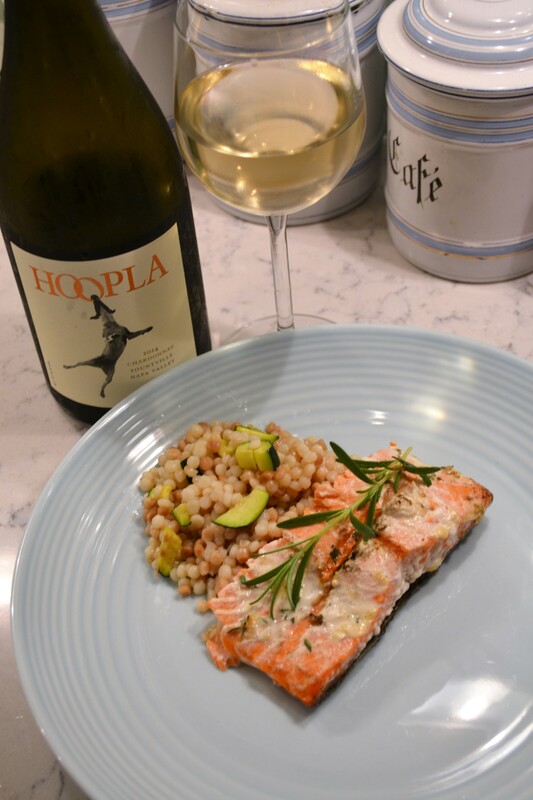 The 2014 Yountville Chardonnay was lively with golden apple, pear, some white flowers and a bit of citrus. This was an elegant wine, the most enjoyable Chardonnay I’ve had in a while. I paired it with salmon which I coated with sautéed shallots, mayonnaise, Dijon, lemon juice and herbs before grilling. A green salad and a side of Israeli couscous with sautéed shallot and zucchini rounded out the meal. Spencer and Lindsay Hoopes, along with Dante,”The Boss,” are bringing their love of life and wine to Napa. Their goal is to combat stuffy attitudes about wine but I have a feeling that this Chardonnay would please even the stuffiest drinkers. Try it and see what all the hoopla is about. Cheers! Delicious meal. I’d say its light enough!